The best thing about consultancy work is the variety of work that you can get involved in over what can be a few weeks and months (and sometimes years!). The outputs also tend to feed quickly into active policy and decision-making processes and actions. This page shows one project per theme, where there is a link at the bottom of each theme section click to see more projects under that theme. Only consultancy reports I have written/helped write that are in the public domain are shown here. This programme of work involved taking a group of eight people through four HIAs in groups of two. 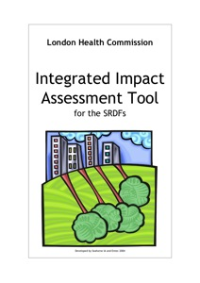 To individually or in groups of two or more support participants to undertake a rapid desktop HIA (no community consultation would be undertaken) and produces a HIA report on a policy, plan or project of the participants choice. To set up a HIA learning set that meets regularly e.g. once a month for at least a year to discuss the challenges faced, provide advice and support to resolve those challenges and to create the core of what could potentially become a long term HIA network across Stoke-on-Trent and the North Staffordshire Region as a whole. 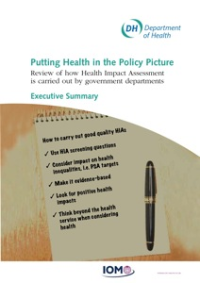 To disseminate and publish the final HIA reports and follow them up to see what influence they have had. To provide some formal teaching on basic epidemiology, developing community profiles, reviewing evidence, analysing health impacts using causal pathway diagrams, involving communities and health risk communication. 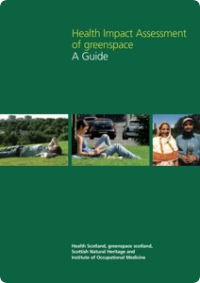 This writing project, for which I was lead writer and project manager, involved developing a overarching summary of a literature review of evidence undertaken by the University of York and key questions to ask when dealing with new greenspace policies, strategies, plans, frameworks, programmes or projects. 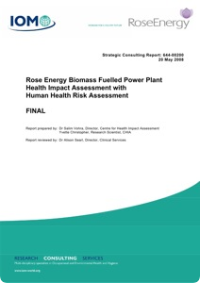 I led the health assessment component of this sustainability appraisal which was coordinated by Entec. See Appendix E on page 75. Will it help reduce poverty and the impact of income inequality? Will it help reduce health inequalities? Will it help improve mental and emotional health? 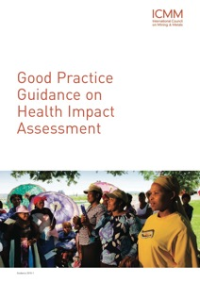 Will it help improve access to high quality public services (including health facilities)? Strong support for maintaining a strong and diverse economy that creates the conditions for supporting economic growth and achieving the objectives of the revised EDS. A strong, comprehensive approach to tackling climate change notably through mitigation of emissions and creation of green infrastructure. The proposals include actions to taking advantage of the economic opportunities presented by these activities. 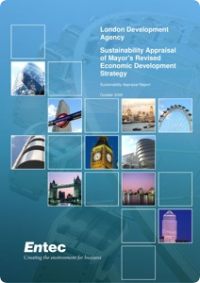 A wider approach to economic development that includes a commitment to improving the quality of life of Londoners that addresses key aspects of poverty and exclusion. 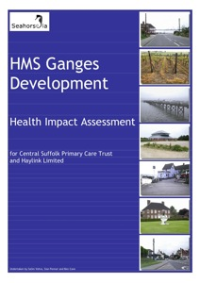 I project managed and designed this evaluation which involved developing a staff questionnaire, helping to facilitate a workshop and some one-to-one interviews with key stakeholders. To evaluate the achievements of the SPMS in relation to its original objectives and underlying values (explicit and implicit). To identify the key learning points from the process of setting up and implementing the SPMS. 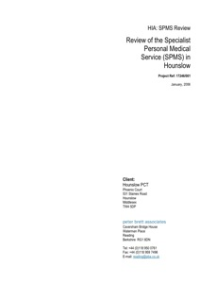 To assess the SPMS’s ‘fitness for purpose’ in light of the new ‘Patient-led NHS’ proposals. To assess the extent to which the SPMS provides value for money. findings, make recommendations on the best way forward. Overall, the development and implementation of the SPMS, albeit with some drawbacks, has overall supported and facilitated the changes that needed to take place to move closer towards achieving the vision of a patient-led NHS. This was the first HIA I led. The proposal to create a mixed development with a range of starter, affordable and other homes as well as space for retail amenities and community facilities will have positive health effects for the people who will move into the proposed development. The people moving in are likely to be local people as well as people from outside the Peninsula. The existing community will benefit from the landscaped public green space and the increase in retail amenities and community facilities. The development will regenerate and bring back into use a currently derelict and unused site. It will connect up Shotley village to the marina and its associated development creating a more integrated physical community at the end of the Peninsula that will allow more people to access the marina and the proposed museum by road, cycle-paths and walking routes. Finally, it has the strong potential for improving the quality of community relationships and interactions (social capital) by creating a focal point for community activities through a village square that has a range of retail amenities and community facilities. London Play, a charity looking to improve children's outdoor play, funded this pilot work to explore how London streets can be improved to make them better places for local people and, especially, children. 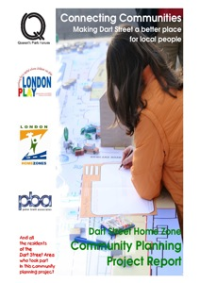 The purpose of the Home Zones for London (HZfL) pilot programme is to encourage and empower local communities to work in partnership with local authorities in the designing of streets and the development of Home Zones. A Home Zone is a set of principles by which new residential streets can be designed and existing ones re-designed to make them shared public spaces for everyone whether they are pedestrians, cyclists or public and private motor vehicle drivers. 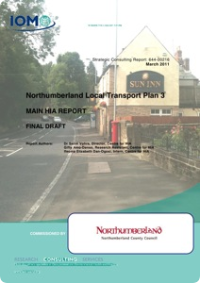 This report details the planning, implementation and findings of this community planning project between December 2006 and March 2007. It also outlines the next steps for turning the ideas and vision of the local community into a reality. 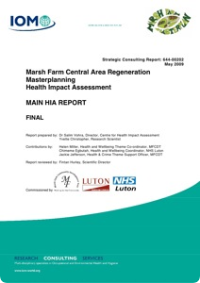 I led and project managed this Strategic HIA which supported the 3 Regional Waste Plan 1st Reviews and ensured that health was considered during the Regional Waste Planning process. Untreated waste, in and of itself, has negative health and wellbeing impacts. 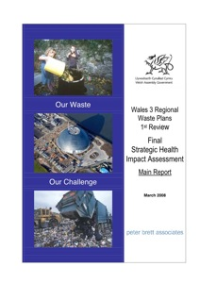 Therefore, the overarching aim of the National Waste Strategy and the 3 RWPRs is to significantly reduce the total amount of waste being treated and disposed of in Wales by reducing, re-using and recycling waste i.e. moving up the waste hierarchy. This goal will take some time to achieve and in the meantime waste treatment facilities will be needed to appropriately treat and dispose of this waste. Overall, the HIA finds that there is no single best public health Strategic Waste Management Option (SWMO). Options 2, 3 and 4, are good from a public health perspective but each has strengths and weaknesses. The Strategic (SWMO) Analysis points to further residual waste recycling rather than just energy recovery as the better option i.e. Options 3 and 4. In contrast, the Spatial Options Analysis, because of the numbers of facilities, size of sites, and the need for more waste lorry movements, points to Option 2 (fewer sites, though larger, and less waste lorry movements overall) as being better.